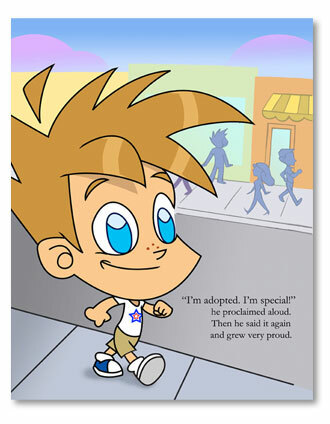 November is National Adoption Month. I know we are at the end of November but I wanted to share this great children's book with you about adoption. 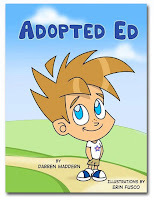 The book is called Adopted Ed and is written by Darren Maddern. Adopted Ed is illustrated beautifully with simple and fun characters. 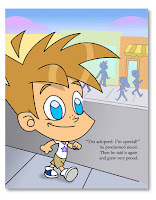 The story follows a little boy named Ed who has been adopted. We follow Ed through his early years, being bullied at school, learning and accepting he is adopted but special. I love the page where Ed says "My parents chose me, yours were stuck with you". I feel this is a great way to address adoption and how to handle being bullied with peers. It's a light hearted story even younger children can enjoy. 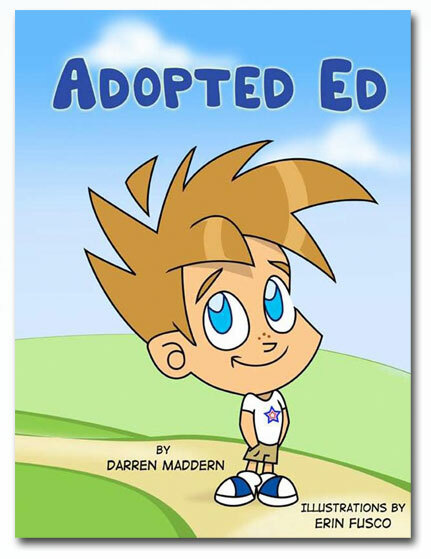 My son had a lot of why's and wasn't quite sure about why Ed had been adopted but I will be reading this book again and discuss with him more about adoption. I think it was abit too advanced for my three year old to understand right now but in a year or so I think she will enjoy it also. I don't feel you need to be adopted to enjoy this book. It is a great way to teach children of the different situations that are around us and everyone is special.